It’s the time of the year again to select my top 5 photos from this quarter. Here they are in no particular order. #1 Father and daughter bonding moment at the playground. 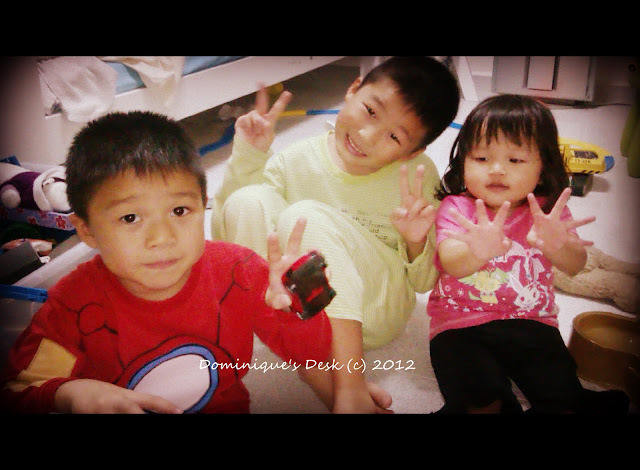 #2- The 3 kids together. #3- Doggie boy , Tiger girl and me on the swing. What are you top 5 photos for this quarter? Wonderful and unforgettable moments! Treasure it and remembered for ever. That’s a nice shot of you with the kids! Tiger Girl’s birthday cake is adorable (like the celebrant)! Really sweet photos. Love that last one.